The evolution of a swirl hat. I have been looking forward to being able to publish this post for what seems like a very long time. 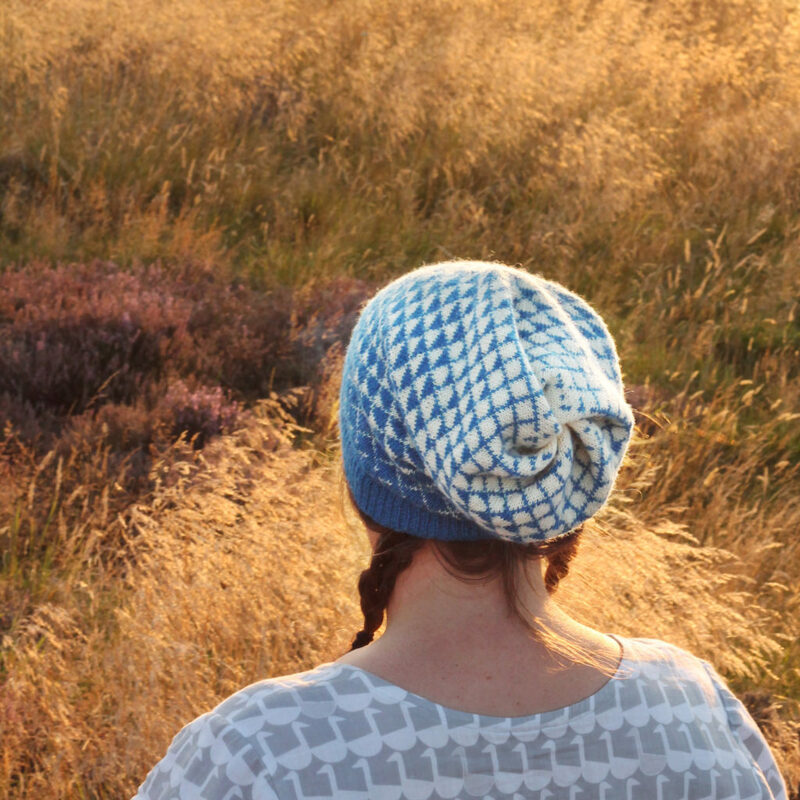 Earlier this year I was asked by Kate Davies if I would like to design a hat for her new book, Millarochy Heids. I was of course delighted, especially as she was excited by an idea that I’d had swirling in the back of my head for a while now. I have been slightly obsessed with swirl crown hats for a few years now. Roisinis was my first experiment with this construction, with only one yarn and a textured pattern on one side. I was captivated by the swirl though, the perfect amount of body and slouch, that never ending surface, I loved it. Then I started experimenting with the construction a bit more. Trondra takes the two layered concept a bit further. 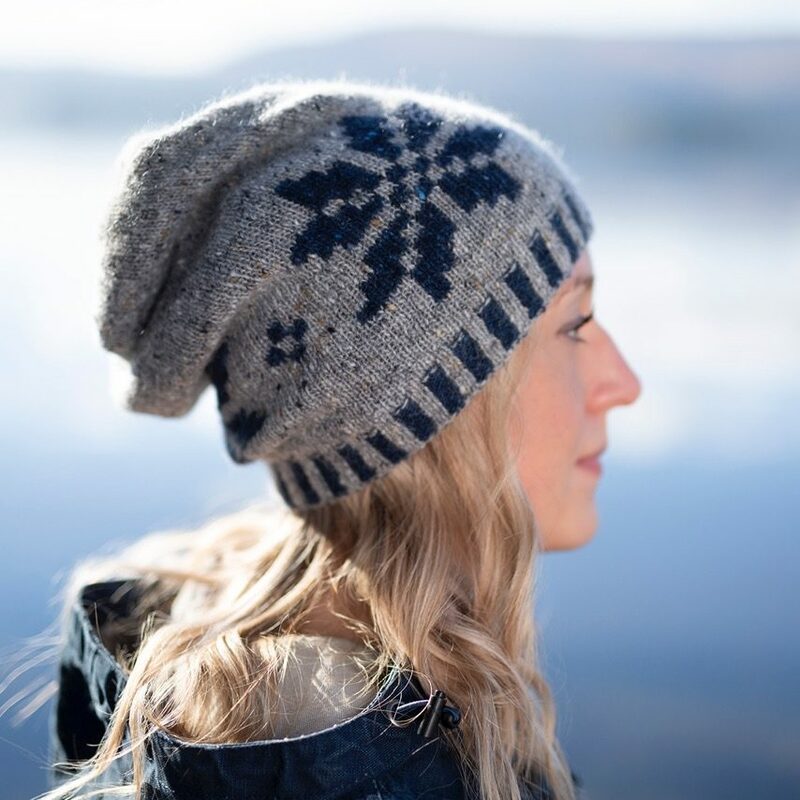 On the outside there is a graphic stranded colour work design, using shetland yarn to keep your ears perfectly warm while the lining is knit from a soft laceweight yarn for the ultimate in comfort. Drumashie was another play on texture – the open lace knit in a fine mohair/silk blend was my interpretation of Old Man’s beard through the medium of knitwear. The double layered construction lends itself to this perfectly, with the dark pine green peeking through that delicate cloud like top layer. 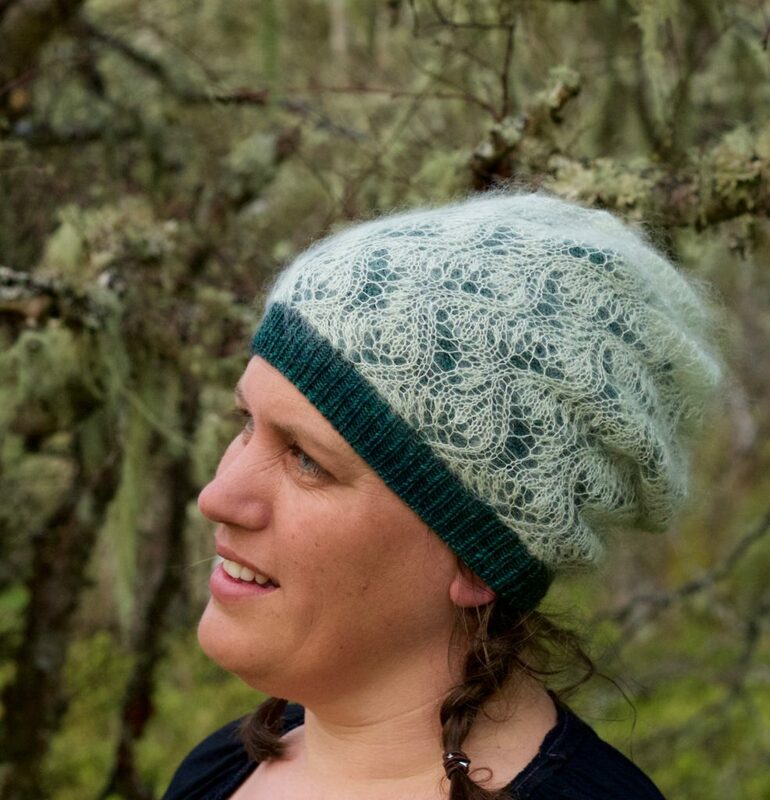 And then I started pondering double knitting – could I make a beautiful swirl crown that ended up with a double knit border to weave those layers together? Would it work within a book? I mean, it’s not the usual sort of pattern you see in a published collection. When tentatively ran the idea past Kate I was bowled over by an enthusiastic response, and much swatching later, Tarradale is the result. 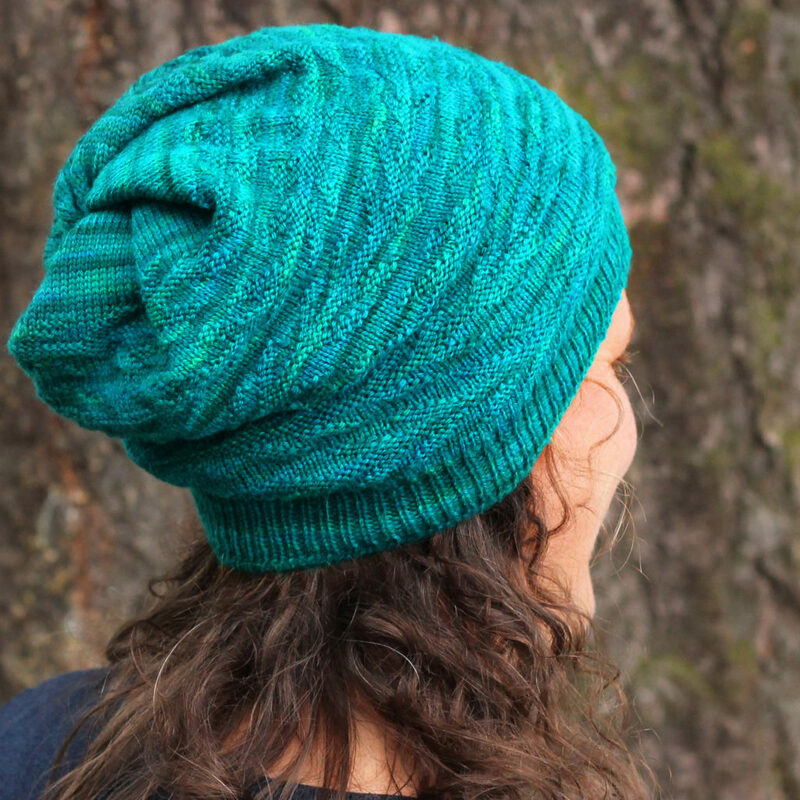 Double knitting presents both opportunities and challenges when designing. My early ideas involved a really big complex star pattern, but as you can’t play with the colour dominance at all the fine lines were undefined and lacked the graphic quality I was looking for. So instead I took a much simpler motif and enlarged it. Because there are no strands, the double layered fabric is stretchy as well as warm and squishy, even with those long gaps between the colour changes. This ticks so many boxes for me. The hat is perfectly reversible, even the ribbing is double sided. The yarn is just lovely, after blocking it transforms into a fabric that is both resilient and soft at the same time, with enough body to make the swirl really stand out. I love the bold simplicity of the motif, rendered in those big blocks. It was a challenging design (possibly because it was the first time I have ever actually done double knitting, and deadlines are not your friend when you are experimenting with a new technique) but now that I have seen these photos I am totally convinced that it was worth all that effort. 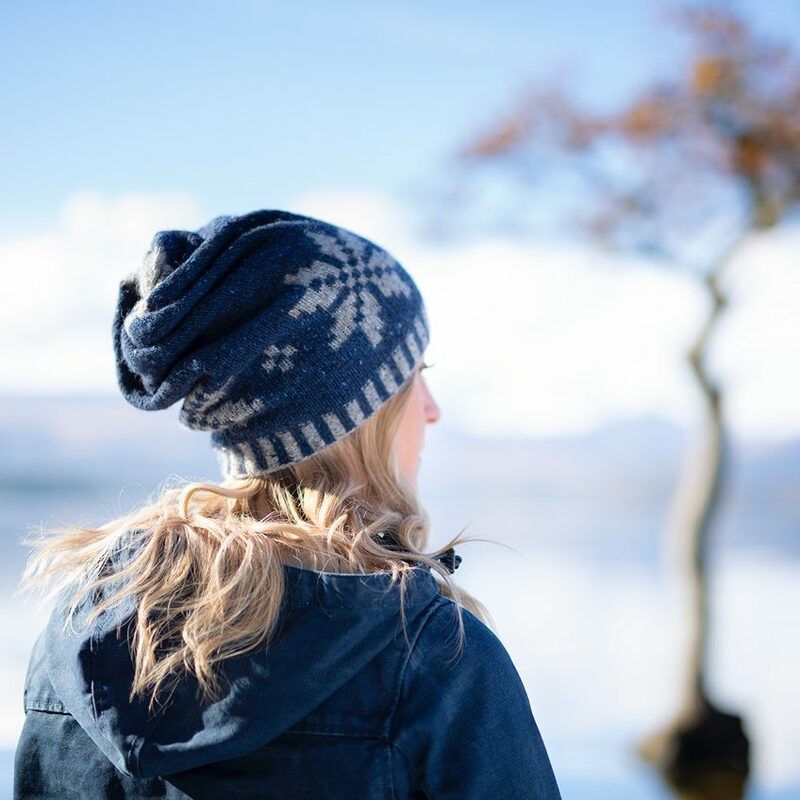 Having seen some of the designs that have been released so far, I’m honoured to have my hat included in such a wonderful collection, and am looking forward to seeing the rest of the patterns – thanks Kate!